The form has a standard format, it is simple to use, and it doesn’t take a lot of time to fill. The template is customizable, but it is good enough to use as it is. 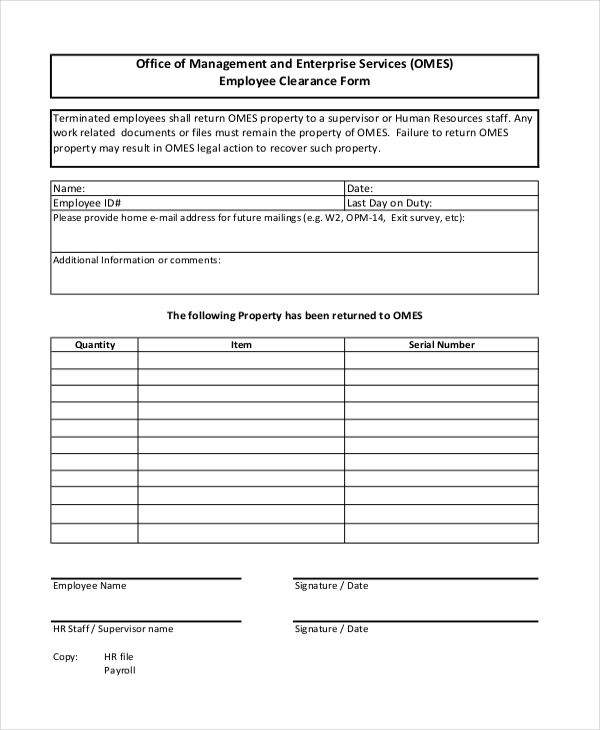 Use this form whenever you want to clear an employee working for your company. 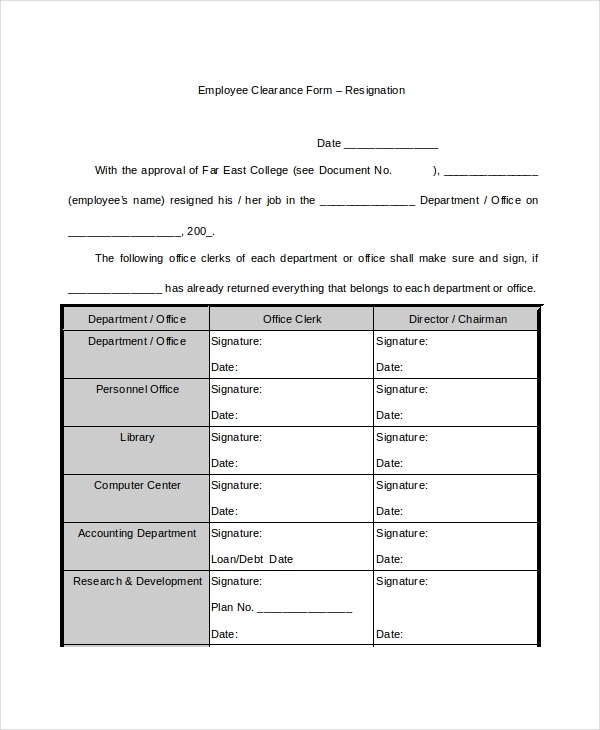 Once an employee chooses to exit the company, you should provide them with a clearance form. The form highlights the reason for leaving the company, making it somewhat a perfect tool for terminating a contract. 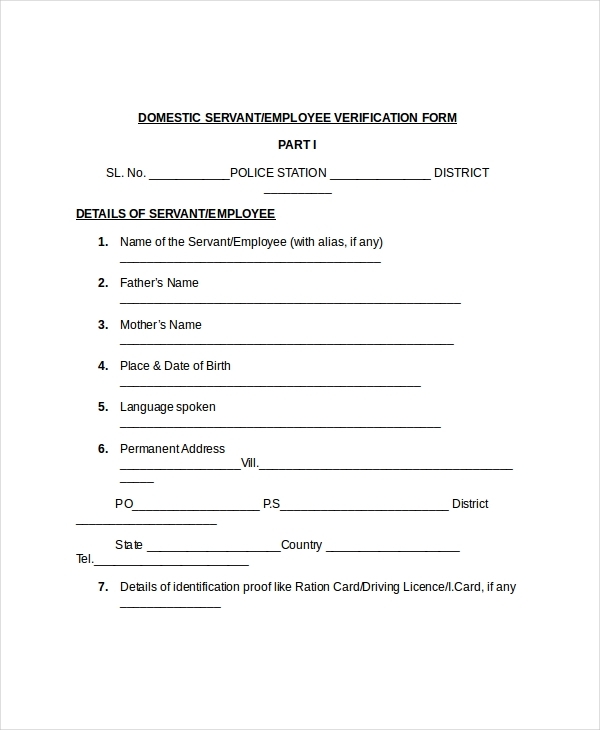 An employment clearance form is a document signed by the HR and given to an employee who has decided to quit their job. The form is a confirmation that both parties agree to the employee’s desire to exit. The clearance certificate is more like an award given to an employee who has made a decision to stop working for the current company. The certificate recognizes that the employee was a member of the firm in question. 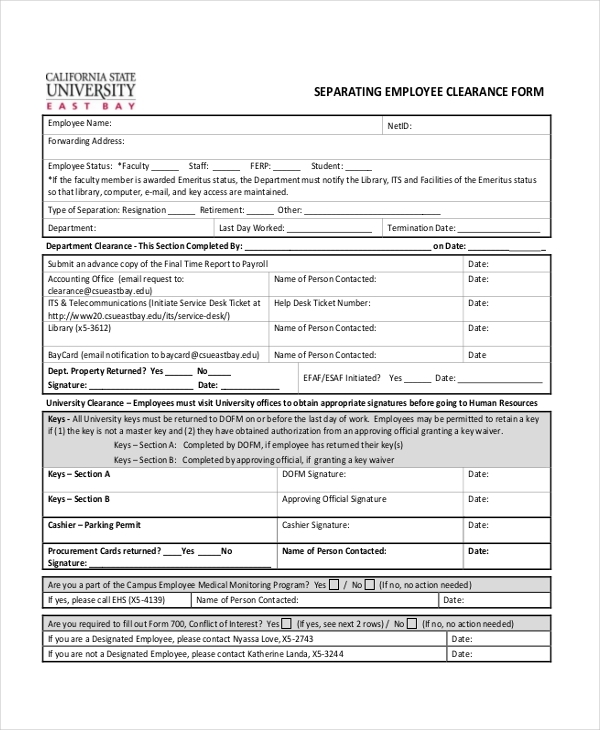 Issue this clearance form to an employee who no longer wants to be part of your members of staff. The form is easy to fill, so it shouldn’t take you long to get it ready. You could use the template as it is. 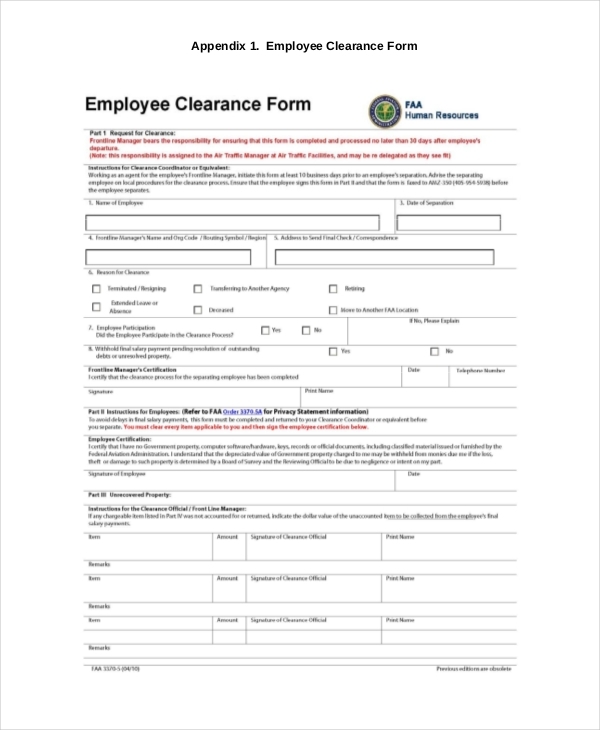 The sample form will help you write a clearance for an employee within the shortest time possible, usually in less than five minutes. Of course, you shouldn’t spend time creating the template when you can download it by a single click of a mouse. When an employee has decided that it is time to bid the company he spent years working for goodbye, the HR should assess him or her and then provide them a clearance form to signify their free will to exit the company. It is sad to see a loyal employee exit the company, but the firm can do nothing to change the mind of an employee who has made the decision to quit their job. 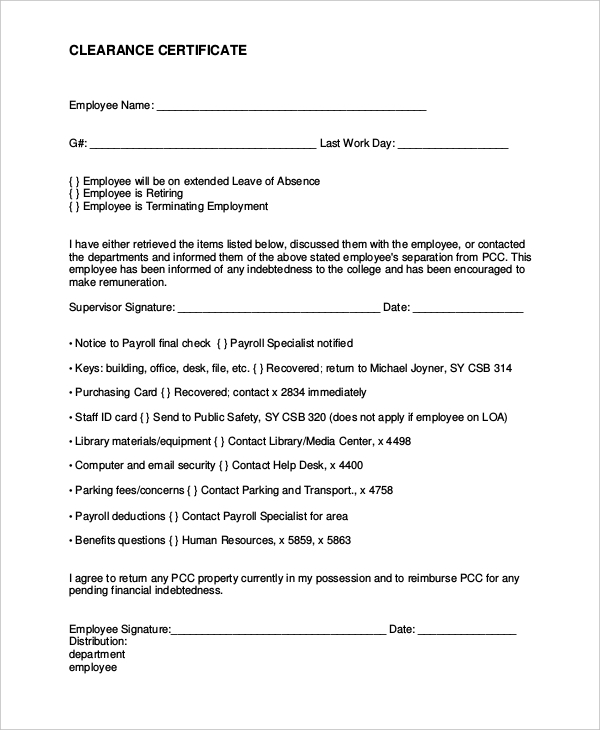 Use this form to give the employee a clean bill of health. 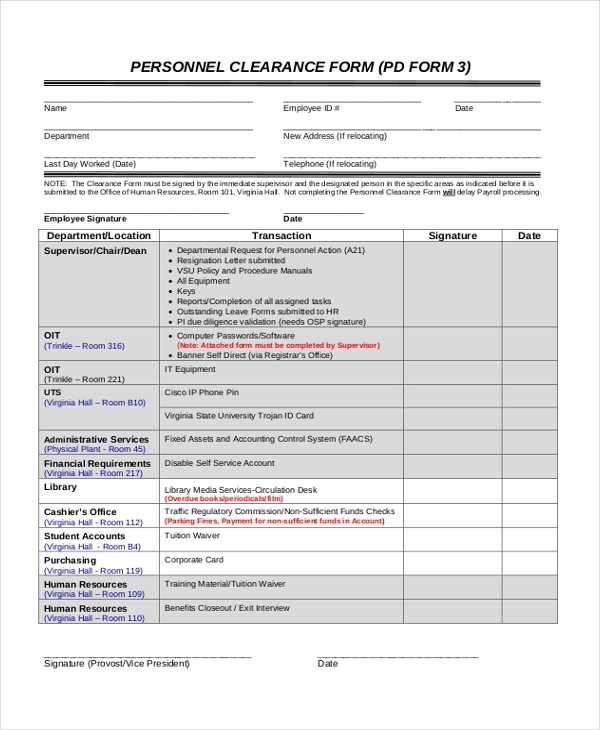 The clearance form is significant because it portrays an employee’s willingness to quit their restaurant job. The form is easy to fill, so it should take you more than ten minutes to fill, proofread, and sign. What is an Employee Clearance Form?